🥇 Dyson vs. Tineco vs. Shark: Which Stick Vacuum to Pick? Vacuum cleaners are a part of any modern household, and it’s not hard to see why. They are extremely useful appliances that can make quick work of large messes on just about any surface. Manufacturers are still innovating and improving this core product, and the latest creation is the cordless vacuum cleaner. With a blend of power, portability, ease of use, and excellent design aesthetics, they are worth a look. When it comes to vacuum cleaners in general, Dyson is considered by many to be the leading brand, with Shark as a solid contender for makers of reliable products. Though Shark is typically the maker of top-end hand-held vacuum cleaners, the quality difference between them and Dyson practically disappears when it comes to stick vacuum cleaners. Since these devices are built to be portable and easy to use, that’s not surprising. What is surprising to some is the rise of a recent entrant; Tineco. Backed by the experience of their parent company, Ecovacs (a leader in the robotic vacuum market) Tineco has already produced great cordless vacuums that are giving both Shark and Dyson a run for their money. With a reputation for aesthetically pleasing consumer goods and valuable innovations, It will be interesting to see where they go. Nevertheless, the vacuum cleaner market is highly competitive, and wherever you look, you should find quality products. 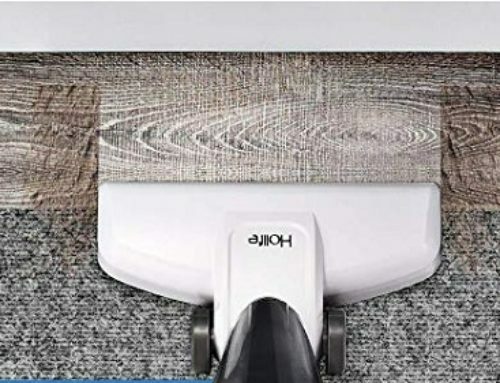 In this article, we are going to discuss what cordless vacuums are, how to find a good one, and then how a particular model from each of these brands compares to the others. Particularly, we will be looking at the Dyson V8 Absolute, the Tineco A10 Hero, and the Shark IONFlex DuoClean Ultra-Light. What Makes a Good Cordless Vacuum Cleaner? With a wide array of attachments, hoses, and huge dust bags, an upright vacuum has strong suction power and handles messes of all sizes. However, they have their shortcomings, mostly because their size and weight could make it hard to use it for long periods. The cord is also a serious restriction when it comes to ease of use. For a long time, there was no way around this because battery technology wasn’t strong enough to power a vacuum cleaner. Creating a strong suction force uses quite a bit of juice, so you either had a battery that could power a vacuum, but for an extremely short time, or you had such a heavy battery that the portability benefit was eliminated. In recent years, battery technology and energy efficiency have improved enough to make cordless vacuums a practical reality. They aren’t perfect for everyone; the batteries, while capable of handling small messes, smaller living spaces, or larger living spaces in stages, are still generally restricted to around an hour of cleaning time. Furthermore, the hour of run time requires two batteries, which is standard for some models. Despite their shortcomings, cordless vacuum cleaners have created a lot of convenience over older models, that they are worth the investment. Furthermore, despite being smaller and more portable, leading brands have designed quality products that can last for years. This means, even though they may seem less substantial, a good cordless vacuum is still a solid investment. When looking at cordless vacuum cleaners, the first question is making sure that it’s the right purchase for you. If you have a smaller space and cleaning can be done with less than an hour of vacuuming, then a cordless stick vacuum is probably right up your alley. While consumers with larger households can still benefit, it is worth keeping in mind that cleaning a large home may take multiple cleaning sessions while the batteries charge. The fundamental characteristics to look at when purchasing a cordless vacuum cleaner are the noise level, battery life, ease of cleaning/emptying the dust bin, and the weight of the unit. Some cheaper models can be extremely noisy, have very short batteries, or can weigh 5 pounds or more! Any issues in these areas can make the cleaning process much harder to handle. Because cordless vacuums are largely handheld, the heavier units are going to make cleaning much harder. Replacing the batteries interrupts the cleaning work. Cordless vacuums also have smaller dustbins than corded uprights or canister vacuums. They are likely to be emptied during a cleaning job, so you’ll want this to be as simple as possible. If the vacuum does decently in these key areas, then you should take a look at the general aesthetics, such as the shape and the maneuverability. If you are struggling to get a vacuum cleaner to reach dust in high corners or under furniture, you may regret your purchase quickly. Dyson designed a quality cordless vacuum cleaner with the V8 Absolute. Portable and powerful while still able to capitalize on Dyson trademark cyclone technology that improves the suction force of their vacuums. It has a solid 40 minutes of battery power with a single charge, unlike the Tineco Hero or the Shark IonFlex. With a solid array of attachments and sleek design, it meets or exceeds all the basic needs of a good cordless vacuum and compares very well with its competitors. However, the Dyson V8 Absolute is a little lacking in some areas that the Tineco does better in. Dyson’s dust bin, while a little larger than the Tineco, is also a little harder to pop out for emptying. For some people, this can be a boon as they may be concerned about popping it out too easily and creating a mess. Also, the Dyson is a little heftier, at almost twice the weight of the Tineco and similar to the Shark. Nevertheless, if you want a quality cordless vacuum cleaner, you can’t go wrong with the Dyson V8. 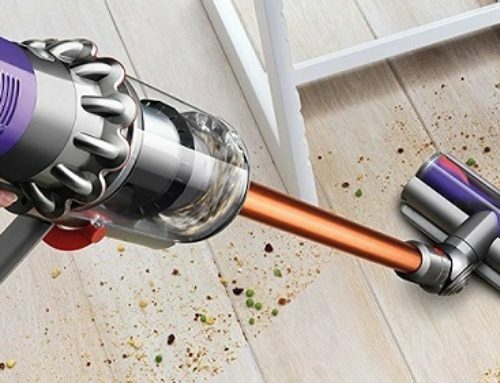 Tineco is giving Dyson a run for their money with the A10 Hero. Its weight is the lowest of the three at only 2.87 pounds. They accomplish this without sacrificing any of the suction power. The Tineco A10 Hero also has a full array of attachments to enable it to handle any cleaning jobs in your home. Its lower weight even makes it a better tool for cleaning messes high up. The dust bin is on the small side, but it empties directly into your trash can nice and easy. The two best elements that Tineco offers here over the Shark and the Dyson is the on-switch lock and the LEDs on the head. The Shark and the Dyson both require you to press the “ON” button while using it. This isn’t a huge strain, but it’s nice to have the option to lock it in. The LED lights on the head of the stick vacuum do a surprisingly good job of highlighting dust and dirt you might miss without them. The Shark IONFlex is also a solid vacuum cleaner but is more comparable to the Dyson than the Tineco. 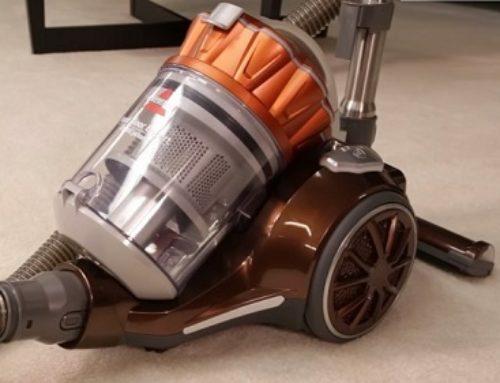 The design of the vacuum isn’t as sleek, and the weight is similar to the Dyson, which can be problematic. It does, however, come with a wider array of controls for different types of surfaces and power levels. If a higher degree of control is very important to you, than this may be the best choice for you. The attachments it has are decent, and it only comes with one battery like the Dyson, but it tends to last a little shorter, more like 30 minutes to Dyson’s 40 minutes. The main benefit the Shark has over its competitors is maneuverability. It has hose attachments that create bends that enable the shark to excel at jobs that the others don’t. In the end, the Tineco seems to have the best to offer new cordless vacuum consumers. In addition to having similar or better features than the competitors, it also beats both the Dyson and the Shark on overall cost. However, even though the Tineco is a better overall vacuum cleaner, there may still be good reasons to prefer the other options. Shark has a more substantial hose and attachment set and finer cleaning controls, which may be of greater importance to you. Dyson is a more established brand, and while both Tineco and Shark are challenging their market dominance, Dyson is still the leader in this space. Their batteries and suction power also tend to be a little better than the competition. Whatever you are looking for, any one of these cordless models will serve you well. If you keep the information in this article in mind while you are shopping, you should find exactly the right cordless stick vacuum for your needs.